Wouldn't it be nice to give a Baptism gift that will become a keepsake for that special child? This EXCLUSIVE personalized Poetry Gift IS THAT GIFT! 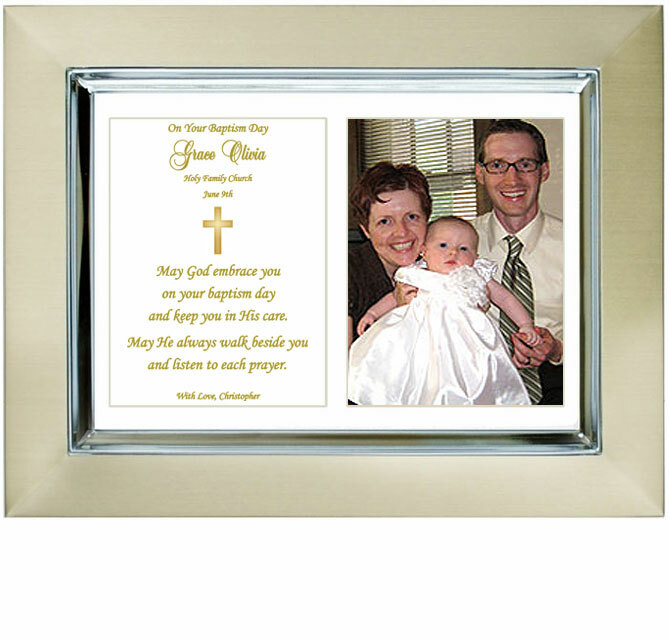 There's a heartfelt poem, a beautiful gold cross design, room for a photo of the baby boy or baby girl, and all of this is presented in an attractive brushed gold and silver 5x7 inch picture frame. 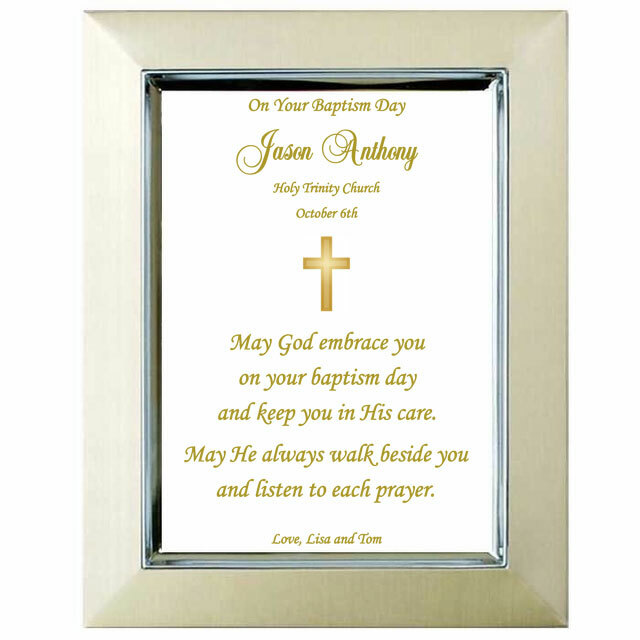 Answer the personalization questions below and we will create a customized Baptism Keepsake you will be proud to give. 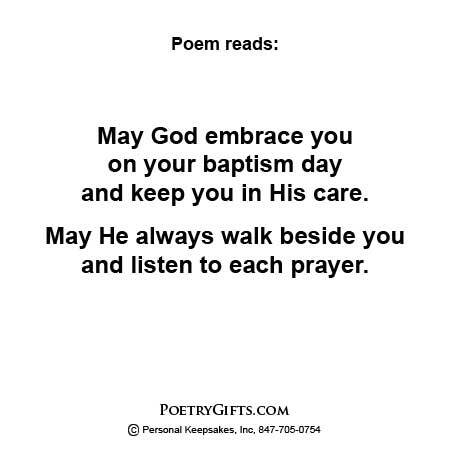 The touching poem for a baby girl or boy is set in a elegant 5x7 inch frame with outside frame dimensions measuring 7" x 9". The cut-out photo area measures 3" x 4". (see Details tab for more information) Suitable for displaying on a shelf or table or the picture frame can be hung on a wall. A cherished keepsake for baby's nursery! Wonderful keepsake for my granddaughter. Good customer service.